Optec Displays Inc. is one of the world’s leading providers of outdoor LED advertising displays. For over 20 years, Optec has engineered and manufactured a wide range of super-bright, high-performance outdoor digital displays for various applications. As a leader in the dynamic digital signage industry, Optec has brought to market some of the industry’s most innovative products. 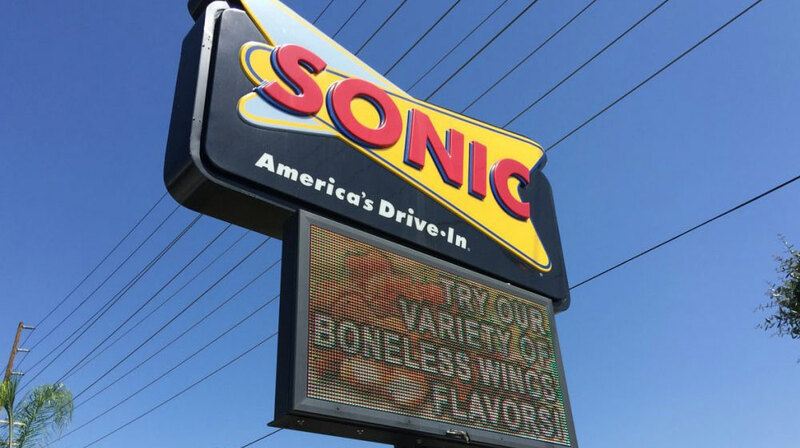 The company’s outdoor grayscale and full-color video LED signs with high-definition text are deployed in retail stores, billboards, schools, churches, hotels, restaurants, entertainment, government, gas stations, and casinos. Mounted outdoors and physically separated from the building and its network infrastructure, a wireless bridge connecting a computer to the sign’s Ethernet ports is the easiest, fastest and often most cost-effective method for users to upload content for display on digital signs. According to George Lin, purchasing manager at Optec, the requirements for a wireless networking solution for digital signage is different than that of a typical business network infrastructure. “The application that we use to manage the content on digital signs does not constantly communicate with the sign, so while we’re not as concerned with the bandwidth and speed of the wireless bridge, we are very concern with the reliability of the solution.” Lin stated that any equipment failure is very frustrating to a customer because if they need to change their sign on short notice and they are unable to connect with the sign, it could have a significant impact on the business. Lin also explained that while they were having success with other wireless networking solutions from manufacturers such as Cisco and Smartbridge, the products were very expensive, adding greatly to the total cost of the solution for the end users. Optec sought to find a solution that could provide comparable performance at a more affordable price point. Optec found the ideal solution to be the EnGenius ENH200 wireless-N outdoor client bridge/access point. “The EnGenius products provided performance that was comparable to what we were using before, but at a price that was much more affordable,” Lin stated. In addition to providing an attractive price-to-performance ratio, Lin explained, “EnGenius was one of the first units we found that was easy-to-install and had a good method of keeping water out of the device without the need to use watertight connectors.” Lin reflected on some bad experiences the company had with competing products that used watertight connectors that did not work. He explained that using watertight connectors is very difficult due to the need to pre-make the cables and pre-attach watertight connectors. Another inconvenience with the previous solution was that the remote computer did not communicate with the digital sign on a continuous basis, so the client bridge would go to sleep, making it difficult and time consuming to update the sign content. “EnGenius implemented a feature where a signal is sent between the access point and the client to make sure that the client device stays awake,” Lin said. He also mentioned that the web-based configuration tool was user-friendly and straightforward, making it easy to deploy and manage the devices. However, it is not just the reliability, performance and price of the EnGenius products that make the company stand out as a valuable partner for Optec – it is also the service that EnGenius provides to Optec that makes a difference. “From a service standpoint, EnGenius does a very good job, when compared to the various other vendors that we’ve worked with,” said Lin. He explained that when the company has run into issues in the past with functions required to improve sign management, EnGenius has been very responsive and provided the company with excellent support.